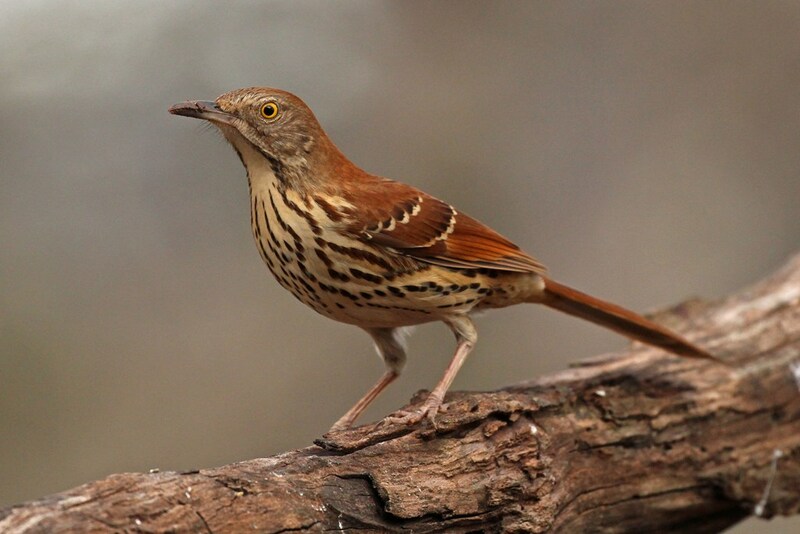 Today’s featured guests for our “Flavor of February” series are the Brown Thrasher and the Hermit Thrush, two birds with tones of brown that make Crayola jealous! Let’s take them in reverse order of the title and begin with the one that is (by far!) 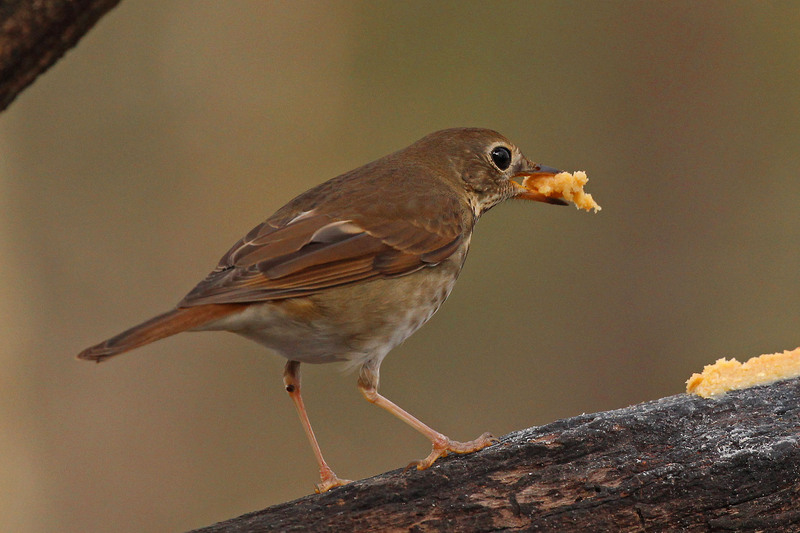 the more timid of the two – the Hermit Thrush. 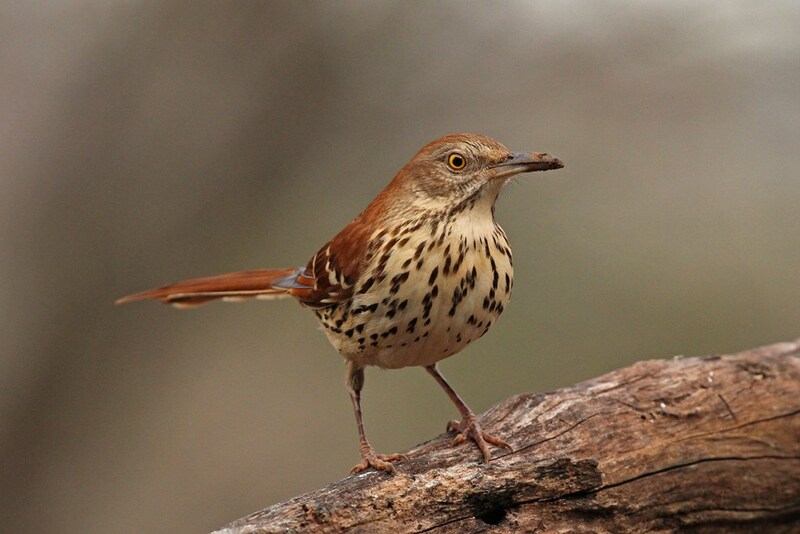 This beautiful songster (many consider his song one of the sweetest you will ever hear) usually lives up north, but will bless me with a visit during the winter months. 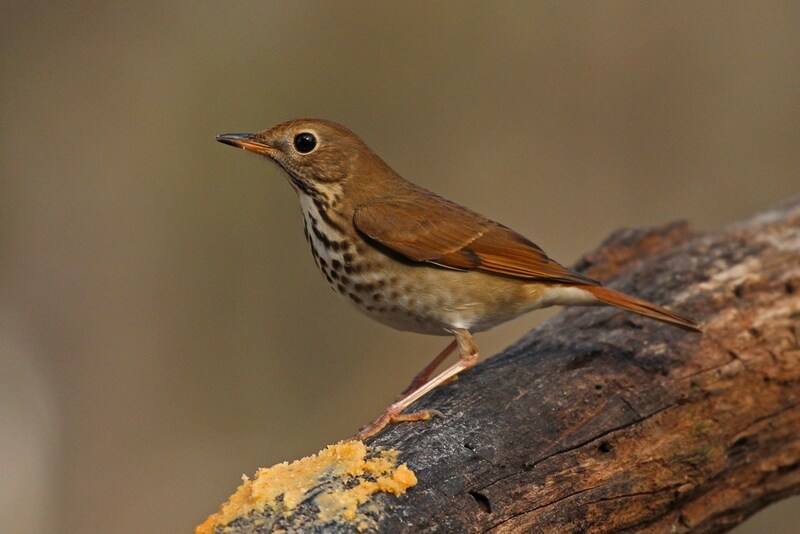 Although he typically stays hidden among the shrubs and prefers to feed from the ground, this one has taken a liking to Bark Butter and will hop up on the deck to partake of it. Despite not being a lover of the limelight, he doesn’t tend to rush through his eating time. And often, before leaving, he grabs a super-sized to-go portion! In this last photo, he is on the usually un-photographed end of the Bark Butter branch (hence the bungee cords) heading to the water dish. I just love this sweetie! 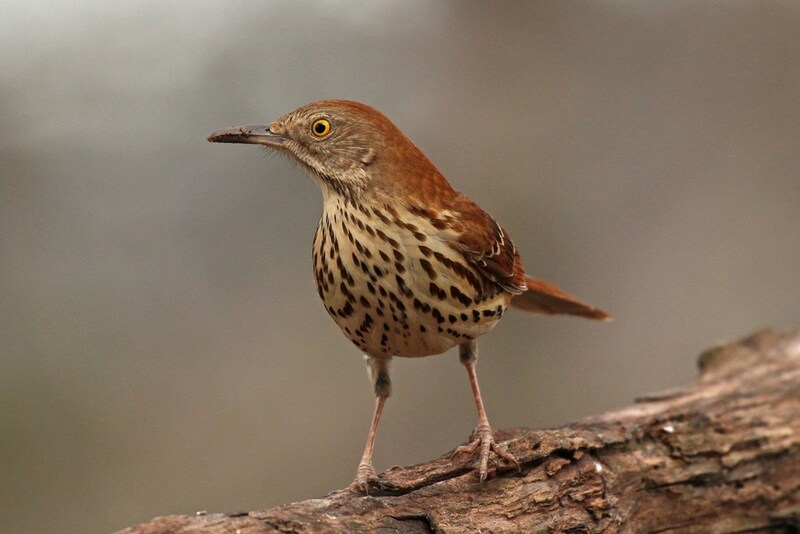 The Brown Thrasher, though similar in color tones, is not similar in temperament! 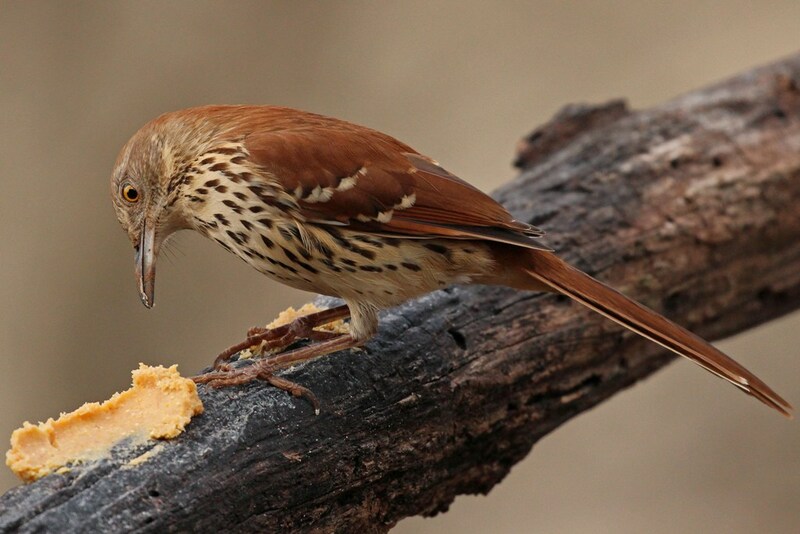 He is a year round resident who has no qualms about commandeering the Bark Butter branch when he is hungry. I think his gleaming golden eye, which seems set in a perpetual glare, makes him appear more aggressive than he actually is. 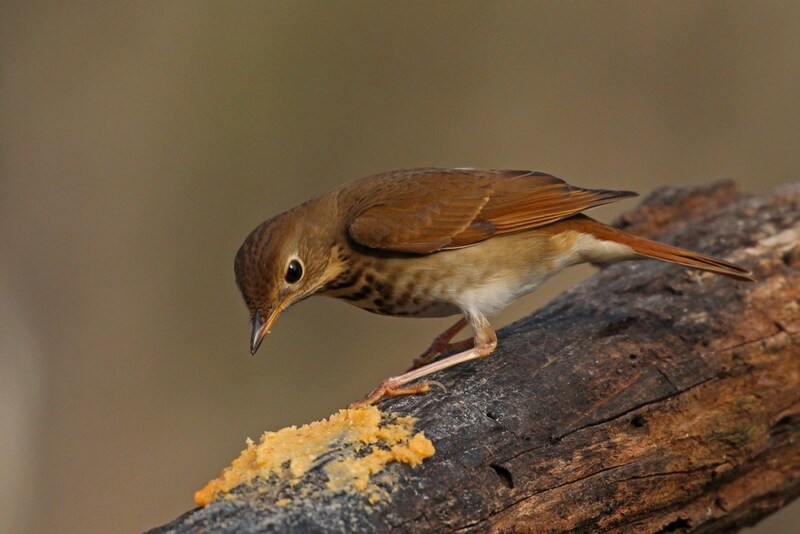 Since this fellow’s hobby is sifting through leaf litter, it is rare to see one whose beak is not crusted with dirt. 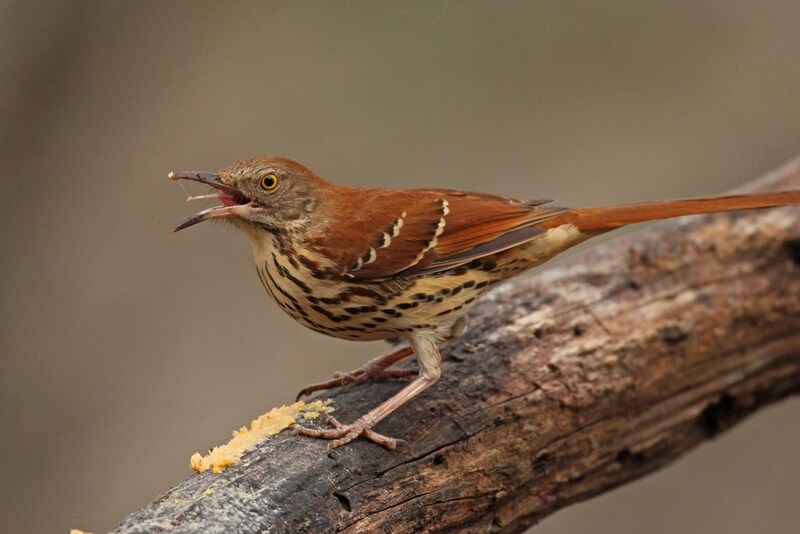 The Brown Thrasher is bigger, bolder, and a bit bossier than the Hermit Thrush, but both are always welcome backyard visitors! 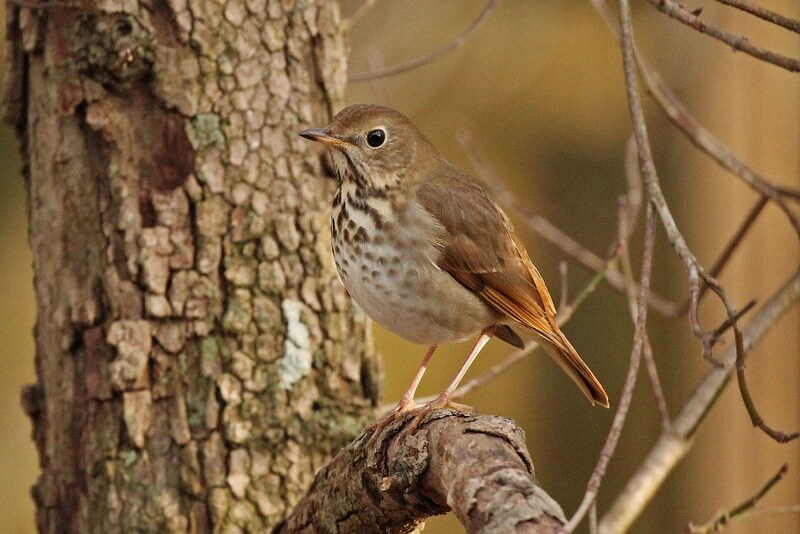 This entry was posted in Backyard Birds and tagged beauty, birds, Brown Thrasher, georgia birds, Hermit Thrush, hobbies, photography. Bookmark the permalink. 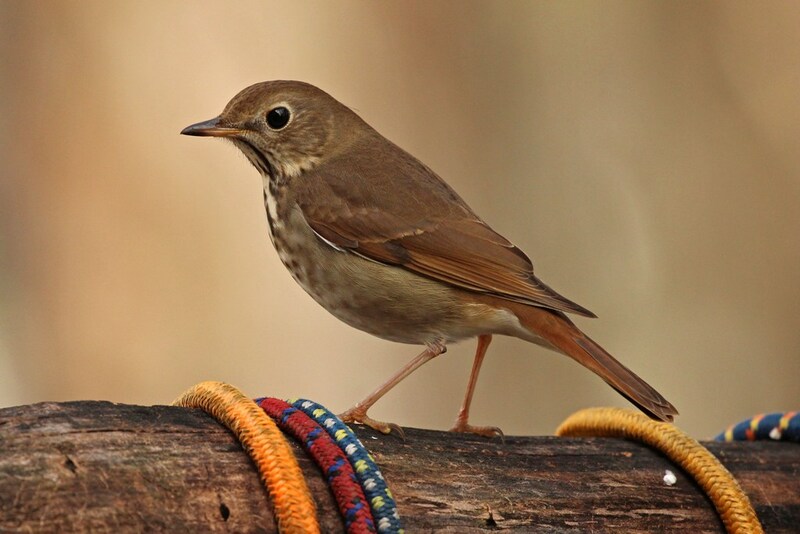 Well Kathy, brown is my favorite color, and even more so when I see these birds. Awesome captures! Beautifully done! 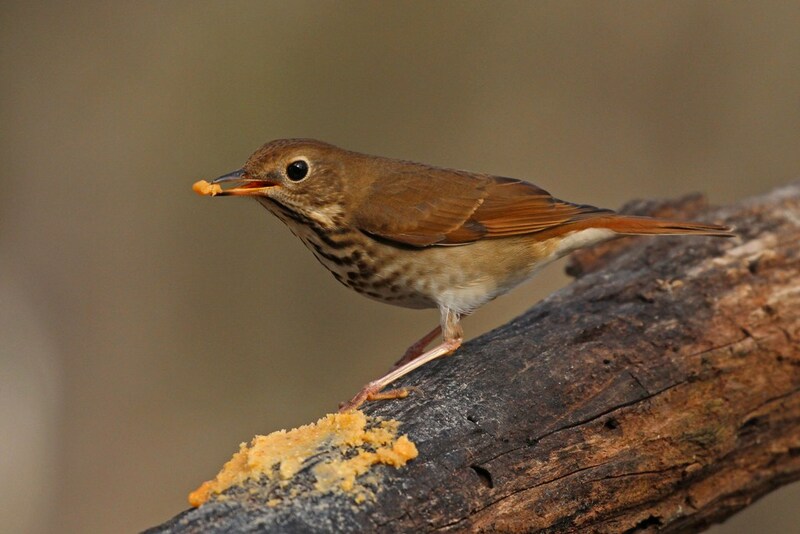 Hermit thrush is one of my all time favs!